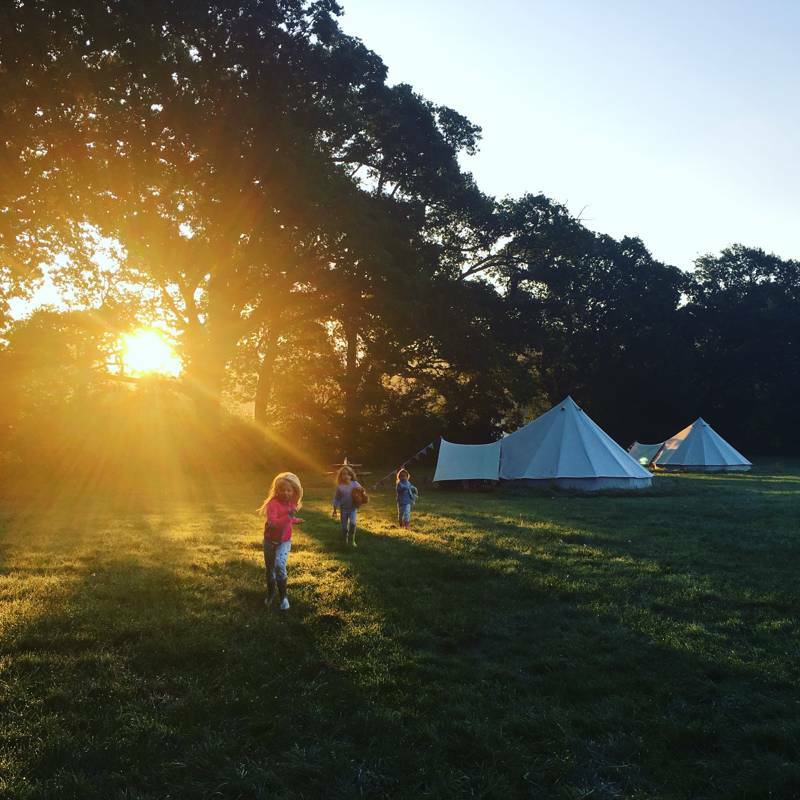 We are a family run, bell tent campsite, set in the grounds of a beautiful hall. 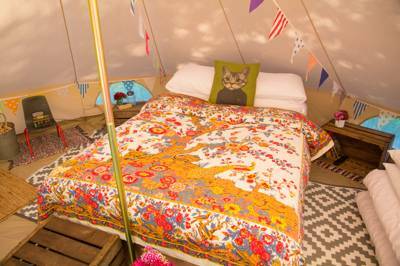 We provide fully equipped bell tents, alongside a wood fired sauna, pizza oven and acres of stunning grounds and nature. 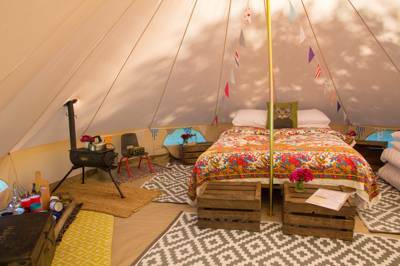 For latest availability and best prices for Amber's Bell Tent Camping at Mannington Hall, please use the Date Search above. 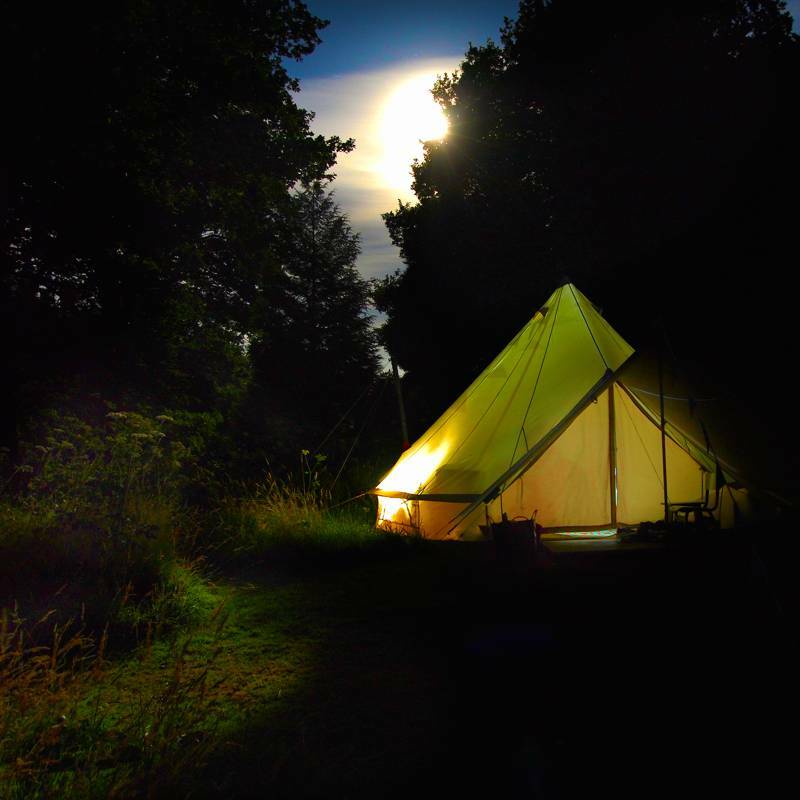 Tents sleep up to 5. 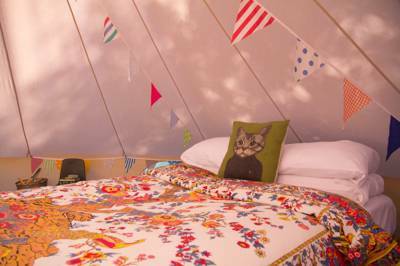 Single and double beds are provided depending on your needs and all bedding is included. Outside, you'll find a picnic table (per tent), combi bbq/firepit, plus a kitchen box equipped with utensils and vintage dishware. There's a washing up tap on the field for dirty dishes, plus loos and showers in the gardens about 200 metres from the tents. There's also an onsite honesty shop for fire essentials like kindling, charcoal, firewood and candles. Mannington Hall and Gardens are yours to explore. Nature packs for kids plus complimentary badminton and boules on offer. 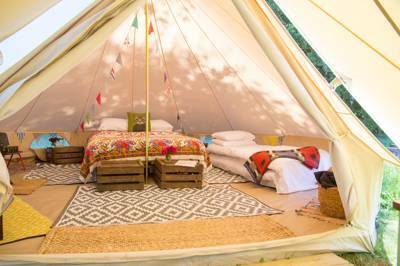 Extra partnerships the campsite boasts means campers can arrange for an intent massage from a local sports therapist or can have bikes dropped at the site to rent with no extra charge for delivery. 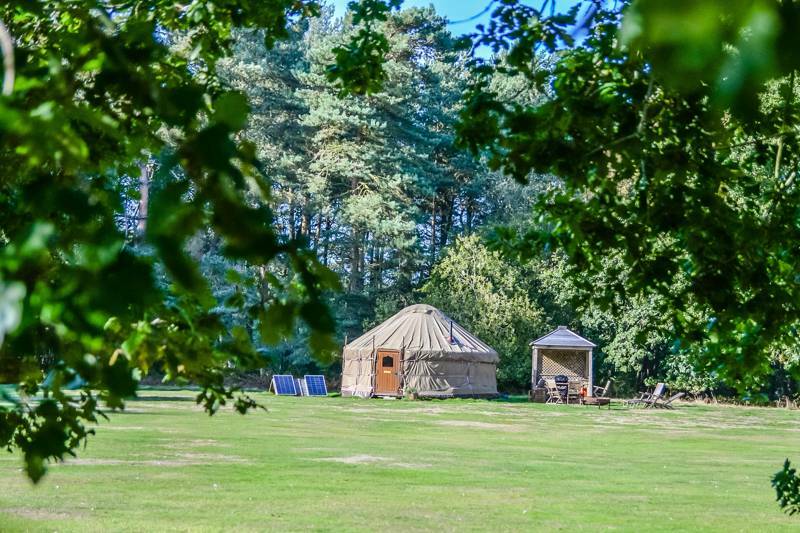 With Norwich, the Broads and the North Norfolk Coast practically on your doorstep, there's no shortage of great days out. The CanoeMan (0845 4969177) gives guided tours of these iconic waterways, while Holkham Bay is one of the latter's finest beaches. Nearby Holt is surprisingly bohemian, with a good selection of fashionable independent shops and restaurants. 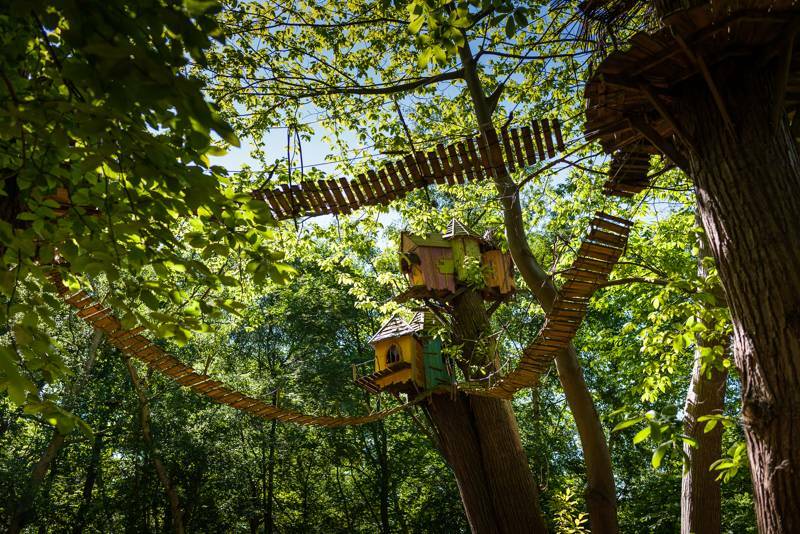 For the litt'luns, Bewilderwood (01692 633033) is an award-winning woodland adventure park with rope bridges, zip-lines and treehouses. In case you haven't had your fill of stately piles, Holkham Hall (01328 710806), Felbrigg Hall ( 01263 837444), and Walsingham Abbey and Gardens (01328 820510) are all within easy reach. You can also cycle the picturesque lanes surrounding Mannington (you won't lose your way thanks to the complimentary cycle maps). 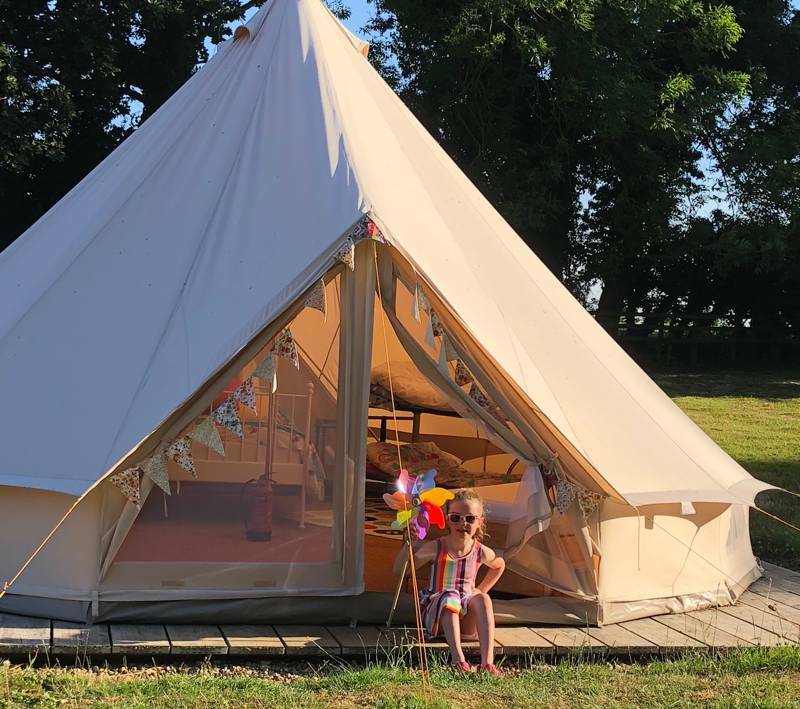 Mannington Hall has its own tea shop and campers can contact Helen from the tea room before they stay to pre-order hampers, cakes, campfire stews, and other treats. Aylsham and Holt boast a couple of award-winning butchers – G F White (01263 732264) and P S Butchers (01263 713227), respectively. As for decent locals, The Walpole Arms (01263 587258) takes some beating. Just a mile from the site, this 18th century pub's traditional charms belie it's modern menu. The Walpole has won the coveted Michelin Bib Gourmand Prize ten years in a row. Be sure to explore their stunning garden too. Buses from Norwich to Holt to Corpusty. The site is around 2 miles away. Trains to Cromer or Norwich, then you'll need to book a taxi. 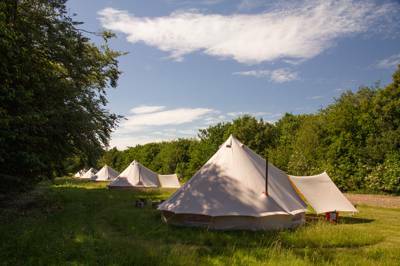 The 2½ acre field has up to 10 tents, changing from low to high season. 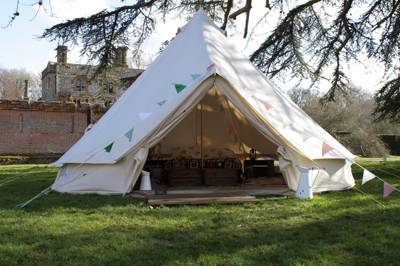 There is also a bell tent in its own private meadow overlooking the great house.